THE Independent National Electoral Commission, INEC, has declared Dr. Andy Uba of the Peoples Democratic Party, PDP, winner of the rerun senatorial election conducted on Tuesday in Anambra South senatorial district. 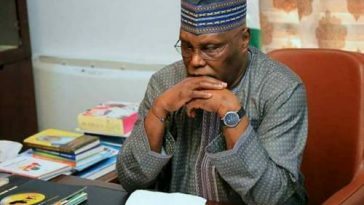 Uba, who won the April 2011 election, but had to vacate the senate following Court of Appeal nullification of his election, polled 42,804 votes to defeat the candidate of All Progressives Grand Alliance, APGA, Chief Chuma Nzeribe, who scored 40,678 votes. Nzeribe has, however, cried foul, alleging that his two opponents in PDP, Chief Nicholas Ukachukwu and Dr. Andy Uba, allegedly doctored the results for Nnewi South and Aguata respectively. 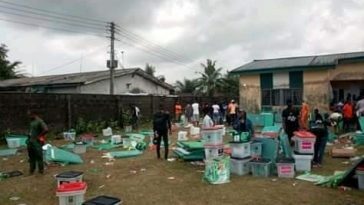 Of the seven local government areas that make up the zone, the PDP candidate won in Orumba South, Aguata, Orumba North and Nnewi South, while Nzeribe won in Ekwusigo, Nnewi North and Ihiala. Nzeribe said in an interview that he was still studying the entire result, adding that he would soon make a pronouncement on the outcome of the election. Next article JTF kill 9members of Boko Haram, captured two alive in Kano. JTF kill 9members of Boko Haram, captured two alive in Kano.